In SAP releases prior to S/4HANA 1610 we can only maintain activity rates per activity type / cost center combination. We are used to this limitation and have worked in our projects accordingly. Create as many activity types as needed for distinct activity rates per cost center. Especially the professional services industry is familiar with this limitation. There was a need for a more granular activity rate determination and a more efficient intercompany process. Costs of employees (consultants) working for different legal entities are charged to each other with complex and time consuming administrative activities in order to clear the intercompany postings. As of S/4HANA 1610 a new enhancement is introduced for resource related intercompany billing. This enhancement is available via business function FINS_CO_ICO_PROC_ENH_101. A part of this enhancement is the ability to determine activity rates in a more granular way then we can today. As you can see, the enhanced activity rate determination is only one part of the new Business Function. The ultimate goal of the Business Function is enhancing the intercompany process by posting the intercompany margin in real time while performing time confirmations. In this blog I will further explain the enhancement in activity cost rate determination and the transaction-based posting of intercompany margin. The new cost rates can be determined via SD condition technique instead of using KP26 and storing the rates in table COST. For each controlling area a pricing procedure for Actual and Plan postings can be used. If you don’t maintain any price in the pricing procedures the system will pickup the rate maintained in KP26. A standard condition table and access sequence is provided by SAP. However, you are free to define your own. After Activating the business function, a new customizing object will be available in the IMG. After defining the service cost levels, it can be assigned to the employees. However, I understood that this is currently only available in S/4HANA Cloud. It is strange that you can configure the object in S/4HANA On-Premise in the IMG, but you cannot assign it to the employee master data yet. The activity rates can be maintained in transaction CMACA02 – “Maintain Activity Cost Rates” or in the similarly named Fiori Application. I have maintained 3 different rates for the activity type 101 and service cost levels 1, 2 and 3. The intercompany Cost Rate can be determined in the same transaction by filling the “Company Code to be billed” field. As you can see, a distinct rate per Project/WBS or employee can be planned as well. I have maintained the ICO cost rates as well and a specific rate for my WBS. For intercompany time confirmations a secondary process is triggered in the background. This process is basically executing a manual cost allocation transactions (KB15N) in which the intercompany margin is posted. For the automatic intercompany clearing posting you should define clearing accounts. If you want to generate separate clearing accounts for different types of costs, you can use the triggering account to distinguish. From SAP documentation I understood that there is also a new attribute introduced called Resource. During my tests this field was not populated by the postings. I’m still investigating if this is, similar to the Service Cost level, a Cloud only solution for time being. The attribute is introduced to classify internal, external, and cross-company goods and services for cost analysis purposes. I have created a project within company code 1710 (receiving company) and confirmed 1 hour of labor from cost center in company code 1010. Please note that the local currency of company code 1010 is Euro and for company code 1710 it is US Dollars. Based on the activity confirmation, 8-line items get posted on the 2 legal entities. The postings are filtered on reference document number 300000005, which is the activity confirmation of 1 hour. You probably notice that next to the standard activity allocation transactions RKL, there are also transactions of the type KAMV. These are manual cost allocation postings triggered by the new functionality in S/4HANA. They represent the ICO margin. Next to these line items, there are also automatic intercompany clearing postings to ensure that the balance in the 2 companies is zero. The EUR/USD rate maintained in the system is 1,25. As you can see WBS 2001 is debited and the sending cost center 10101321 is credited. The WBS number and the personnel number objects are attributed in the sending company code 1010. In this way margin reporting in the sending company code is made possible. The intercompany billing process has not changed, other then that the intercompany markup is already included. This is calculated based on the activity rates entered in the new SD condition. 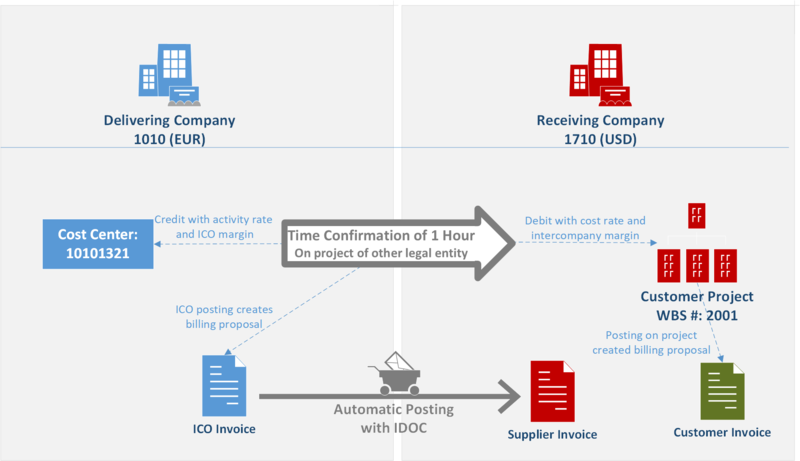 So when doing an intercompany resource related billing (DP93) the 2 postings lines on the delivering company (cost rate of the hours and ICO margin) will be included in the billing request. 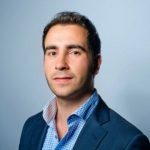 In my case €50 for the activity rate + €10 for the ICO margin will be included in the invoice. Unfortunately, the new valuation strategy is not valid for production orders, service orders and networks. Because of this limitation this new functionality will be useful mainly for professional service businesses. It would be nice if we see this new functionality extended to other cost objects. Then many more industries can make use of this enhancement. The service cost level attribute in the employee master data is currently only available in S/4HANA cloud. thanks for your blog. It was very helpful to get the postings running, however especially on the condition tecnique I would have loved some more details. Now I am struggling with the ICB Billing. Do I have to set up SD for every project a consultant would be working for? Or can I establish one SD document, which covers all hours of this consultant regardless of the receiving project? Would you be able to help us out here as well?